This link has a ton of different craft and game activities for kids, as well as links to stories about Pioneers from the Friend, and Pioneer songs. 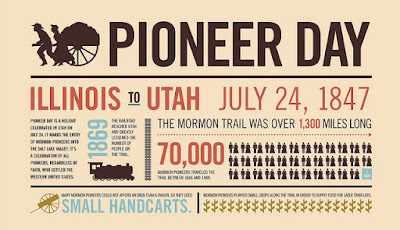 This one also has games and activities, printable, and some real-life Pioneer activities to try! And here is a link to a pattern to make your own paper bonnet! Perfect for church classes or a kids family activity!